Three rooms available for hire within the IDIBC centre. Suitable for meetings, training, Baby Showers, private functions, exercise classes, clubs and occasional funeral wakes. We have a bar serving coffee, tea, light refreshments as well as the usual bar drinks - please check on opening hours/provision when you book. We are happy to discuss other hospitality/catering needs if you would like that. We hope to be flexible enough to meet a variety of requests. Inquiries are welcomed and we will do our best to make you and your group welcome too. Current users include training organisations, yoga classes, slimming world, and one off events. Availability: Available most days except Christmas Day, Boxing Day and New Year's Day. Opens at 0800 and closes at 2300 unless special arrangements are made. The rooms for hire are private and outside the area where bowls is played. Regular as well as one off bookings are welcome. There have been 1 review of Ipswich indoor Bowls Club. The Committee of SNEOSG (Suffolk & North Essex Occupational Safety Group) have asked me to write a review of the premises we use for our monthly committee meetings and Presentations. We have been using the bowls club as a venue for our monthly committee meetings and for our members presentations for some years now. We find the venue warm and welcoming, the accommodation is flexible enough to meet our needs and the various presentations we have to offer. The facilities are clean and refreshments are readily available and our needs are always catered for. This is great for our networking event in a relaxed atmosphere. Those who wish to participate in the restaurant facilities are never disappointed with the quality and choice available at reasonable cost. Access and parking is also excellent for our members and presenters. 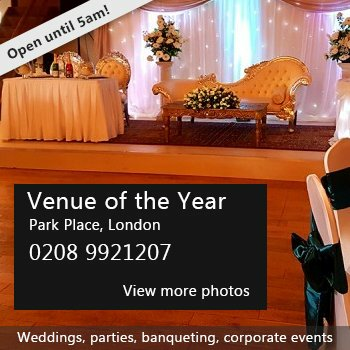 We have no hesitation in recommending this venue, which has met our needs for such a long time now, and we hope will continue to do so for the foreseeable future. If you would like to send Ipswich indoor Bowls Club a booking enquiry, please fill in the form below and click 'send'. Perhaps some of the following halls within 5 miles of Ipswich indoor Bowls Club would also be of interest?